Last night a man seriously injured three others when he began wielding a knife at a London Underground train station, reports The Guardian. He allegedly shouted, “This is for Syria” as he launched a knife attack at Leytonstone Station in east London, causing Metropolitan Police to label the event as a “terrorist incident”. The attack is believed to be related to the British government’s vote this week to launch airstrikes inside Syria. Videos recorded from the scene at 7pm by onlookers show a man in a pool of blood with others attempting to flee the train station. However, a video of the aftermath, uploaded by Twitter user YusufP94 has shaped the nation’s response. While police are apprehending the suspect, someone shouts, “you ain’t no Muslim bruv”. This single line of defiance turned into the hashtag #YouAintNoMuslimBruv which has been trending on UK Twitter overnight. 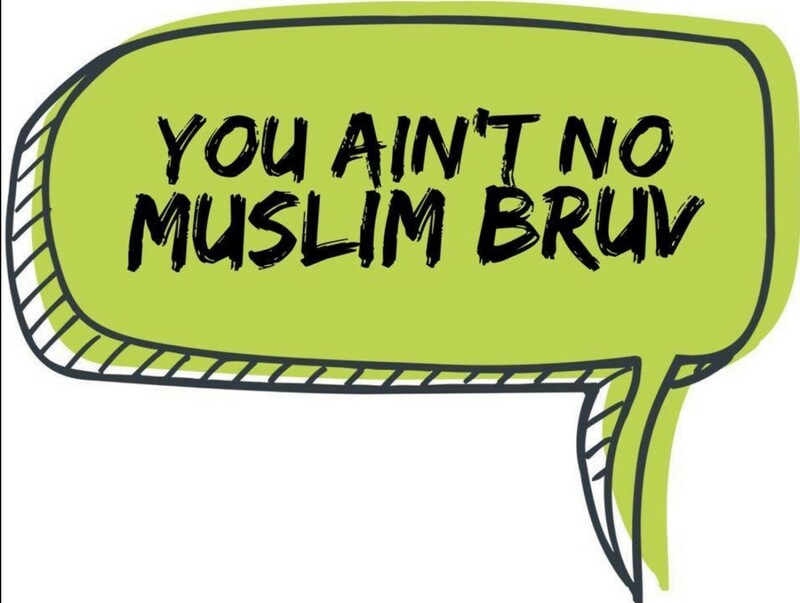 #YouAintNoMuslimBruv is the most British response to Islamic fundamentalism ever. Sometimes my country surprises me in the best ways. The response and the adoption of a colloquial form of English that many outside the capital won’t be familiar is a beautiful expression of solidarity in a time of duress. The lead image in this story appeared within moments of the hashtag gaining traction. I have been a Londoner all my life and as such I have been witness to the attempted bombings of the capital by the IRA in the late 1980s and early 1990s, the numerous bomb scares on board public transport, the 7/7 bombings and now this. In fact, on closer inspection in the past 30 years London has been attacked nearly 200 times by people on the fringes of society. It has become a sad part of living in one of the world’s true capitals. And yet, each and every time this has happened a wave of solidarity emerges that brings us a bit closer together. Recent research has begun to support this. In a study carried out by Markus Heinrichs and Bernadette von Dawans at the University of Freiburg in Germany, suggests acute stress can lead to greater cooperative, social, and friendly behavior, even in men. This more positive and social response could help explain the human connection that happens during times of crises displayed so eloquently on Twitter in the past 24 hours. Many researchers believe this response forms a core part of our collective survival as a species. The reason, the study’s authors concluded was driven by humans deep-seated need for social connection. War is one of the greatest stresses anyone could ever encounter, and from the statistics, London has been under siege for decades. But yet it also helps foster deep human friendships and incredible acts of heroism and sacrifice for one other, of which I have witnessed on many an occasion. I was at Kings Cross Station during the 7/7 bombings and I had never seen such a collective sense of responsibility for those injured and affected by the events that unfolded that day. London is most of the time a hard and unfriendly place. But when faced with acts of brutality like what happened in east London last night, everything changes. For the people who are committed to using violence to prove a point rest assured it is only making Britain closer as a nation and more resolute in its actions to stamp out extremism in all its forms.